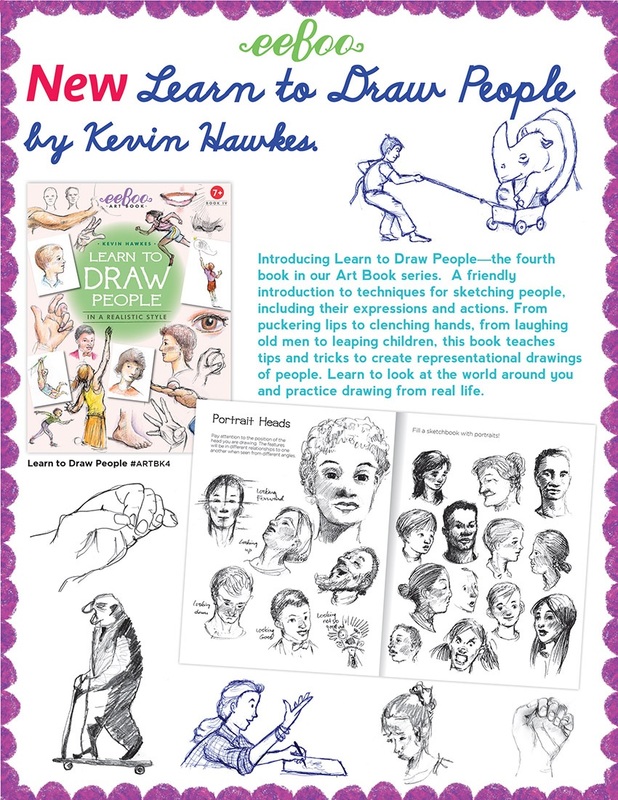 New Art Book: Learn to Draw People by Kevin Hawkes! Here at eeBoo, a few of our team members used this art book– and created the doodles shown above! A wonderful addition to our Learn to Draw series, the new Learn to Draw People Art Book includes tons of fun drawing tips, as well as humorous and witty editorial comments about the art of drawing and sketching. Full of helpful hints and illustrations that build on skills you learn as you go, this book will help you develop your own drawing style and build your confidence with a beautiful visual foundation. Perfect to pair with our new sketchbooks and upcoming graphite pencils!